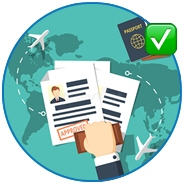 Getting a visa may always be the first obstacle you encounter before each trip abroad. With Get Visa Vietnam, your burden is lifted. We assist travelers with different types of visas and extra services in couples of days. 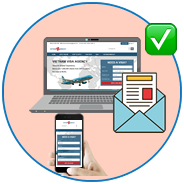 Apply Vietnam visa on arrival online because of its convenience, simplicity, money and time saving. 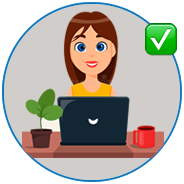 Fill out the online form visa application and pay the service fee. Your information is confidential. Normal service: Guaranteed 2 working days. Urgent service: 8 working hours. Super urgent service: 4 working hours. 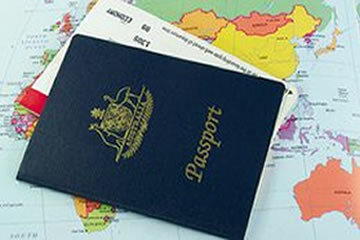 Present your passport, visa approval letter, exit and entry form, photo along with stamping fee to Immigration officers. How much a Vietnam visa on arrival cost? Right after landing, our staff will greet you with the welcome-board. 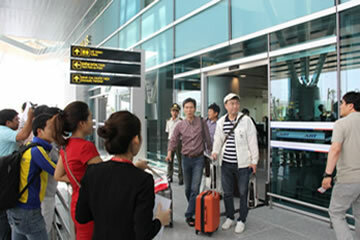 In case of early landing, you cannot find our staff, please call our Hotline +84 9 8852 2908.